Most dogs will never encounter a rattlesnake, but when entering their habitat there are a few things to keep in mind. 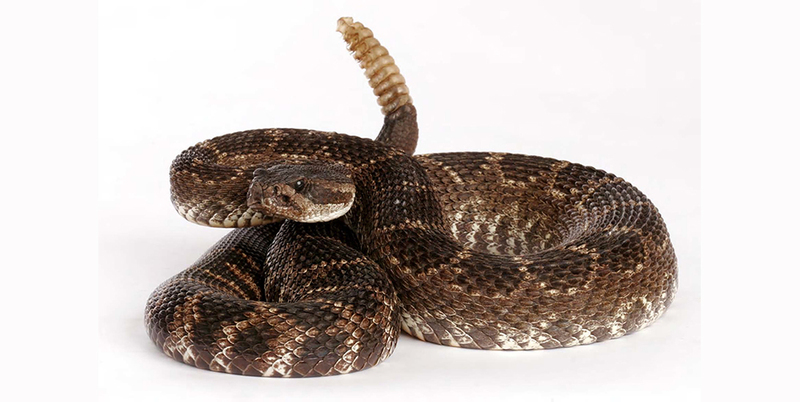 A majority of rattlesnake bites happen, not by accident, but because the snake was not allowed to escape. Dogs are curious beings and some when encountering a snake will stand and bark, while others will want to immediately sniff. That’s when a snake feels threatened and will strike. When hiking with your friend in rattlesnake areas, make sure they are on a leash. Stick to the trails not letting them sniff in rock crevices and other areas where snakes could be hiding. If your dog is bitten by a rattlesnake, swelling will be fast and considerable. Remove anything from your dog that is close to the bite and that may restrict the swelling, like a collar or bandana. Seek medical attention immediately. Keep the pet calm. If possible carry the pet. The more activity, the faster toxins can enter the bloodstream and spread throughout the body. The best way to avoid snake bites all together is to give the snakes the right of way. Keep your dog by your side when hiking and carry a staff for announcing your path ahead of you. Rattlesnakes are sensitive to vibration and will get out of your way if you give them enough warning.